The 'arm's-length principle' has been part of Canada's federal legislative corpus since 1938, when it was first integrated into the Income War Tax Act2 to apply strictly to payments made to non-residents by Canadian residents carrying on business. Sixty years later, on 1 January 1998, transfer pricing principles, inspired by and harmonised with the OECD Guidelines, were integrated into the Income Tax Act (ITA or the Act)3 when Parliament enacted Section 247 of the ITA,4 which is found in Part XVI.1 of the Act. Canada's transfer pricing5 regime is and has always been entrenched in the arm's-length principle, and as such, the ITA does not provide for a 'stand-alone' transfer pricing regime. Rather, it provides for the application of this principle to all types of transactions between Canadian residents and non-residents. In fact, Section 247 does not levy taxes on its own. It allows the Canada Revenue Agency (CRA), the federal taxing authority,6 to determine, modify and even recharacterise certain amounts (as to their quantum or nature) for the purposes of computing tax under the ITA so that they arguably reflect arm's-length conditions. The Canadian transfer pricing regime is built around three important and integrated components: the Minister's power to impose adjustments to the quantum or recharacterise the nature of transfer prices, automatic and independent penalty regime where the transfer pricing adjustments are above a certain statutory threshold, and an obligation to contemporaneously document all transfer pricing aspects. Transfer pricing adjustments determined by the CRA apply for all purposes of the Act and target all types of taxpayers7 and partnerships.8 The rules found in Section 247 apply to both income and capital transactions. The charging provision, namely Subsection 247(2), provides that the Minister may adjust any amounts where: a taxpayer and a non-resident person with whom the taxpayer is not dealing at arm's length9 are participants in a transaction and (1) either the terms and conditions differ from those that would have been made between persons dealing at arm's length or (2) the transaction would simply not have been entered into by persons dealing at arm's length and it can be said that the transaction was not entered into primarily for purposes other than to obtain a tax benefit. Subsection 247(3) details the penalty regime applicable. Finally, Subsection 247(4) provides the requirements with respect to contemporaneous documentation. Since Section 247 does not impose taxes on its own, transfer pricing adjustments are generally followed by secondary adjustments that give rise to tax consequences. From a litigation perspective, both the primary and secondary adjustments are usually subject to disputes, which benefit from various alternative dispute resolution mechanisms at each stage and consequently have generated some case law. Canada has a self-reporting tax system, and taxpayers are expected, pursuant to Section 150, to annually produce a return of income that is in a prescribed form and contains prescribed information. For the purposes of transfer pricing compliance, Section 233.1 requires taxpayers resident in Canada and non-residents who carry on business in Canada to provide information on their non-arm's length transactions with non-residents for each taxation year (reportable transactions).10 The information must be provided in form T106 Information Return of Non Arm's Length Transactions with Non-Residents and filed within the taxpayer's filing due date for the year, which is typically six months after the end of the financial year for corporations and 90 days from the end of the year for trusts and estates. A different form must be filed for each non-arm's length non-resident with whom the taxpayer has reportable transactions. The information return must contain, inter alia, nominal information on the non-resident, whether the 'reporting person' controls or is controlled by the non-resident and the various transactions entered into by the reporting person and non-resident.11 The reporting person must also declare whether it has prepared or obtained contemporaneous documents as described in Subsection 247(4) for the taxation year of filing. To file complete T106 forms and avoid penalties under Subsection 247(3), taxpayers must prepare complete and accurate contemporaneous documentation with respect to their use of arm's-length transfer prices and allocations in respect of the transactions entered into. This fundamental element of the transfer pricing regime is discussed in Sections III and VIII. The ITA is silent on the question of transfer pricing methods: it does not provide for the use of a particular method, it does not specifically refer to the OECD Guidelines and it does not require the use of a transactional or year-end analysis. The ITA only requires that the terms and conditions of transactions entered into by non-arm's length parties be the same as those that would have been agreed to between arm's-length parties. In Canada v. GlaxoSmithKline Inc,12 the Supreme Court of Canada (SCC) had the opportunity to review Canada's transfer pricing regime and for the first time provide judicial guidelines for its application.13 In that decision, the SCC established that '[The OECD] Guidelines are not controlling as if they were a Canadian statute' and that ultimately, transfer prices must be determined according to the wording of the ITA rather than any particular methodology or commentary set out in the OECD Guidelines.14 The SCC also confirmed that there is no hierarchy of methods in Canada, a position that is in line with the latest OECD Guidelines. the Guidelines continue to suggest that there exists a natural hierarchy to the methods, as referred to in Paragraph 2.3. The CRA agrees that the focus of determining the method to use should be the method that will provide the most direct view of arm's-length behaviour and pricing. IC87-2R states that a natural hierarchy exists in the methods. Both IC87-2R and Paragraph 2.3 of the 2010 version of the Guidelines state that the traditional transaction methods (e.g., CUP) are preferred over a transactional profit method. For the CRA, these changes do not firmly de-emphasise the natural hierarchy but they refocus the topic on what is truly relevant – the degree of comparability available under each of the methods and the availability and reliability of the data. 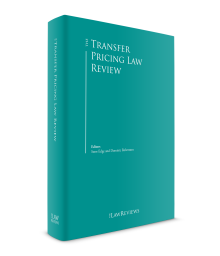 The court further stated that relevant to the analysis framework are the economic characteristics of the situations being compared and the consideration of other transactions impacting the transfer price should be considered. In Canadian law, it is a well-established principle that economic substance is important but cannot override legal relationships unless it is specifically provided for in the legislation18 and 'tax consequences flow from the legal relationships or transactions established by taxpayers'.19 The transfer pricing regime specifically provides the possibility to depart from those principles. All Canadian judicial cases that dealt with transfer pricing rules23 involved the adjustment of terms and conditions as opposed to recharacterisation of transactions. According to the OECD Guidelines and pursuant to the CRA's administrative position,24 the recharacterisation of transactions should be done in exceptional circumstances only and should be viewed as a last resort solution. However the wording of the ITA does not provide any limitations, restrictions or guidelines for the use of recharacterisation of transactions by the CRA. The CRA's audit approach with respect to evidence is largely based on the gathering and analysing of documents required to be kept and produced by taxpayers. In addition to the obligation of filing reportable transactions under Section 233.1 specifically for transfer pricing purposes, the ITA confers on the CRA vast and general audit powers. Under Section 231.1, an auditor may, for any purpose related to the administration of the ITA, inspect, audit or examine the books and records of a taxpayer and any document of the taxpayer (or of any other person) that relates to the information that is or should be in the books and records of the taxpayer or to any amount payable by the taxpayer under the ITA. Furthermore, under Section 231.6, the CRA may request from a person resident in Canada, or a non-resident person carrying on a business in Canada, to provide any foreign-based information, which is defined as 'any information or document that is available or located outside Canada and that may be relevant to the administration or enforcement of the ITA'. Section 247 also requires that taxpayers prepare, make available or obtain and, when required, provide contemporaneous documentation with respect to their transfer price. Contemporaneous documentation is the second cornerstone of the Canadian transfer pricing regime. Failure to prepare or provide contemporaneous documentation when requested may lead to the imposition of penalties. assumptions, strategies and policies, if any, that influenced the determination of the transfer prices or the allocations of profits or losses or contributions to costs, as the case may be, in respect of the transaction. A qualifying cost contribution arrangement (QCCA), which is defined in Subsection 247(1), is often concluded by arm's-length parties for the development of intangible property. A QCCA is 'an arrangement whereby two or more parties share the costs and risks of producing, developing, or acquiring any property, or acquiring or performing any services, in proportion to the benefits which each participant is reasonably expected to derive from the property or services as a result of the arrangement'.32 A participant's share of the overall contributions to the QCCA must be in proportion to the share of the overall benefits it expects to derive from the arrangement, taking into account the economic circumstances and its contractual terms. The OECD Guidelines' DEMPE functions33 with respect to intangible property are, to some extent, integrated in the Canadian transfer pricing regime through QCCAs. Settlements are an essential part of the functioning of a viable tax system.34 The Canadian jurisprudence with respect to transfer pricing is limited, and that is largely because of the various alternative dispute resolution solutions provided to taxpayers, through advance pricing arrangements (APA) and settlements, whether they occur at the audit, objection or judicial stage. APAs are formal and binding agreements between the CRA and a taxpayer who is carrying non-arm's length transactions with a non-resident person and therefore subject to Subsection 247(2). The APA programme allows a taxpayer and the CRA to avoid future transfer pricing disputes by entering into a prospective agreement for a term of three to five years.35 By entering into an APA, taxpayers are provided with some degree of certainty on their transfer prices. Canadian taxpayers may seek unilateral or multilateral APAs.36 In a multilateral APA, the CRA (the Canadian competent authority) will enter into an APA with the foreign competent authority under the mutual agreement procedure article provided by the applicable tax treaty. APAs generally start with the taxpayer providing information (pre-filing) and involve many steps,37 which require the CRA to, inter alia, review and take a position on the taxpayer's file, enter into government-to-government negotiations and document and conclude the APA with the taxpayer, and the foreign competent authority. Taxpayers do not participate in government-to-government negotiations. During the audit stage, it is possible for settlements to be reached through APAs. APAs concluded are generally prospective in that they apply to future taxation years. Further, when a taxpayer concludes (and complies with) an APA, it is possible to request that the APA cover transactions that occurred in non-statute-barred taxation years (rollback).39 In addition to certainty of transactions and transfer prices, a rollback provides that the past transactions, now covered by the APA, will not be subject to a penalty under Subsection 247(3). Settlements may also be reached during the objection stage,40 when the CRA has issued a notice of reassessment and the taxpayer has filed a notice of objection. Upon receipt of the notice of objection, an appeals officer must, with all due dispatch, conduct an independent review of the file and decide whether to confirm, vary or vacate the reassessment. Settlements through APAs are less likely to occur because generally discussions and negotiations with respect to a possible agreement or APA, if any, have already occurred and have not succeeded. In Sifto Canada Corp v. The Queen,45 the TCC found that a settlement agreement entered into under the mutual agreement procedure (MAP)46 under the Canada–US tax treaty was binding on the CRA and that CRA had to assess the taxpayer in accordance with the agreement. The TCC ruled that CRA was precluded from issuing the subsequent additional reassessments based on an upward transfer price adjustments because they were issued in contravention of the agreement. Transfer pricing disputes, as with other tax disputes, generally begin with the CRA investigating a taxpayer through an audit, issuing a proposed reassessment and finally a formal reassessment. Transfer pricing investigations will often start with the CRA serving the taxpayer a formal Paragraph 247(4)(c) request for contemporaneous documentation. As previously mentioned, the CRA may also request books, records and documents pursuant to Section 231.1 and 231.6. By virtue of Subsection 247(11), rules applicable to audits, assessments and objections under Part I of the ITA are made applicable to Part XVI.1 (which comprises Section 247). The period of time within which the CRA is expected to carry out its tax audit and issue a reassessment is the 'normal reassessment period', defined under Subsections 152(3.1) and 152(4). The normal reassessment period starts with the issuance of a first assessment, which is usually issued shortly after the filing of an income tax return by a taxpayer pursuant to Section 150. Depending upon the taxpayer's status and the nature of the transactions under review, the normal reassessment period ends three (for an individual or private corporation), four (for a public corporation) or seven (for transactions involving a non-resident) years later. Within the normal reassessment period, the CRA can issue as many reassessments as it sees fit and the subsequent reassessment cancels the previous one, unless it is an additional assessment. When a taxpayer disagrees with an assessment issued by the CRA, a notice of objection to an assessment must be served within 90 days of the date of issuance of the assessment pursuant to Section 165. The notice of objection triggers an independent review of the assessment file by a CRA appeals officer. After March 2018, the CRA does not accept applications relating to transfer pricing matters as part of the Voluntary Disclosure Program (VDP). The VDP provides taxpayers with the opportunity to correct mistakes or omissions in filing tax returns while avoiding in certain cases prosecution or penalties that would otherwise be applicable. Transfer pricing matters are instead referred to the Transfer Pricing Review Committee. Pursuant to Section 169, where a taxpayer has served a notice of objection to an assessment pursuant to Section 165, the taxpayer may appeal to the TCC to have the assessment vacated or varied within 90 days after the CRA has confirmed the assessment or reassessed. The TCC's jurisdiction is limited to Section 171, which states that it may dispose of an appeal by dismissing it or allowing it and vacating the assessment, varying the assessment or referring the assessment back to the CRA for reconsideration and reassessment. Once the reply is filed, the parties have to agree on a timetable for the remaining steps of the litigation: the exchange of lists of documents (partial or integral), the examination for discovery, the satisfaction of undertakings made at discovery and the request for a hearing date. Once the hearing date is scheduled by the hearings coordinator, the parties have 90 days from that date to serve their expert reports, which is common practice in transfer pricing cases. Although the first transfer pricing provisions were introduced to Canadian legislation almost 80 years ago, only five major cases have dealt with transfer pricing provisions. Certain cases have been decided under the former Subsection 69(2), and others under the current Section 247. GlaxoSmithKline Inc is the only decision rendered by the SCC on transfer pricing and, as such, is significant in terms of the guidance it provides. Pursuant to a licensing agreement allowing Glaxo Canada to sell Glaxo World's drugs portfolio, Glaxo Canada paid a 6 per cent royalty and was required to purchase ingredients from suppliers chosen by Glaxo World. The issue related to the purchase price paid by Glaxo Canada for a key ingredient necessary for the Zantac drug, under a parallel supply agreement with a supplier, one of Glaxo World's Swiss subsidiaries. The key ingredient was bought by Glaxo Canada at a price five times higher than the generic drug companies were paying. The CRA reassessed Glaxo Canada and reduced Glaxo's purchase price to a price closer to the one paid by generic drug companies for the ingredient, pursuant to Subsection 69(2). The SCC concluded that, under the circumstances, the price paid was reasonable given the rights of the parties pursuant to the various agreements they entered into. The SCC allowed Glaxo's appeal and referred the matter back to the TCC for redetermination, on the basis that the rights and obligations found in all relevant agreements must be considered. transfer pricing is not an exact science and as long as transfer prices are reasonable, no adjustments should be made. The General Electric Capital Canada Inc case is of some importance because of the comments on the weight of expert evidence and opinions in transfer pricing matters. In this case, the issue was whether a 1 per cent guarantee fee paid to GE's parent (based in the United States) was appropriate, given that without the guarantee from its parent, its borrowing cost would have been higher. The Federal Court of Appeal (FCA) upheld the TCC decision that the guarantee fee paid did not exceed an arm's-length price. The FCA also concluded that implicit support had to be taken into account because determining arm's-length pricing 'involves taking into account all the circumstances which bear on the price whether they arise from the relationship or otherwise'. McKesson was the first decision to have been decided after the GlaxoSmithKline Inc case. The primary issue related to the reasonable amount of discount for receivables sold by McKesson Canada to a non-arm's length corporation pursuant to receivable sales agreement. The secondary issue was McKesson Canada's liability under the ITA for its failure to withhold and remit to the CRA an amount equal to the Part XIII non-resident withholding tax resulting from the disallowed amounts. The Alberta Printed Circuits Ltd (APC) decision was rendered before GlaxoSmithKline Inc. The dispute arose when APC moved its 'setup operations' to Barbados, which were to be carried on by a related corporation, APCI. Pursuant to their agreement, APCI charged APC a fixed fee for the setup services and a square-inch fee for non-setup services. The CRA reassessed APC and made an adjustment pursuant to Subsection 247(2) on the basis that the fees paid were not consistent with the arm's-length approach. The TCC based its analysis on the CUP method as suggested by APC, and rejected the CRA's proposed transactional net margin method.53 The TCC decision is of interest because of its comments on the transaction-by-transaction basis and the importance of unbundling transactions for transfer pricing purposes. In Marzen Artistic Aluminium Ltd, the CRA disallowed the markup paid and deducted by Marzen to its Barbados subsidiary under a marketing and sales support agreement. The evidence revealed that the Barbados entity did not perform any marketing or support function, but acted as an intermediary between Marzen and its US affiliate by subcontracting the marketing and sales support to the US entity. The Barbados entity charged a substantial markup to its costs of contracting out the functions. The TCC rejected Marzen's appeal and upheld the disallowance of the deduction claimed by Marzen for the costs paid to the Barbados entity. Furthermore, the Court determined that Marzen did not make a reasonable effort to use comparables or to reasonably determine and use arm's-length transfer prices due to the lack of contemporaneous documentation and upheld the Subsection 247(3) transfer pricing penalty. For example, in the case of primary adjustment resulting in an excess amount paid by a resident corporation to a non-resident, Subsection 247(12) will deem the payment of a dividend by the resident corporation to the non-resident. In fact, the wording of Subsection 212(2) deems the dividend to have been received by the non-resident entity to the transaction. A deemed dividend pursuant to Subsection 247(12) will result in a secondary assessment under Subsection 212(2), which provides for a withholding tax on dividends paid by resident corporations to non-residents. Generally, the CRA's position is to the effect that there will be no deferral of Part XIII assessments pending the final resolution of the transfer pricing issue. Canadian taxpayers may nevertheless be relieved from Part XIII tax if the amounts are repatriated (i.e., paid back by the non-resident) within 180 days, pursuant to Subsection 247(13). Subsection 247(14) also provides the Minister with the discretion to reduce interest otherwise payable with respect to a Part XIII reassessment. Taxpayers can avoid the Subsection 247(3) penalty if they can prove they have made 'reasonable efforts' in determining and utilising arm's-length transfer prices. The burden that lies on taxpayers is dual: reasonable efforts must be made to determine and use the transfer prices. If a taxpayer is not in a position to prove its compliance with both obligations, it could be exposed to penalties. In addition, for the purposes of the penalty, Subsection 247(4) contains a deeming rule that deems taxpayers not to have made reasonable efforts in cases where the documentation referred to in this Subsection is incomplete, inaccurate or not prepared contemporaneously, or if a taxpayer fails to provide such information in the three-month period when requested pursuant to Paragraph 247(4)(c). Canada does not have a diverted profit tax per se (neither proposed, nor in force), unlike many common law jurisdictions such as the United Kingdom and Australia. However, certain provisions of specific application found in the ITA are intended to apply in specific cases where tax could be diverted to foreign jurisdictions. These specific rules would generally apply in priority to the transfer pricing provisions. For example, there are specific statutory provisions covering the taxation of foreign affiliates,60 and specific rules for non-resident trusts,61 back-to-back loans62 and unreasonable deductions63 (whether or not with an arm's-length party). Double taxation might arise as a result of proposed transfer pricing adjustments in Canada when there is no corresponding adjustment in the other country. In such cases, taxpayers may request competent authority consideration under the mutual agreement article provided for in most of Canada's tax treaties. Taxpayers must make a formal application within the notification deadline provided by the applicable tax treaty.64 Deadlines may vary in different tax treaties. The CRA will generally answer an initial request within 30 days, letting the taxpayer know whether the request for assistance is granted or not. When the CRA denies a request, written reasons must be provided with the decision. When a mutual agreement procedure request is accepted by the CRA, it will enter into negotiation with the foreign competent authority. Even if an agreement is reached between the competent authorities, taxpayers may decline the agreement and refuse to comply with it. In such cases, taxpayers will most likely have to argue their case to the TCC following a reassessment. When transfer pricing issues are resolved judicially, the CRA will present the adjustments provided in the court's decision to the foreign competent authority, which may accept or reject the adjustments provided. In case of rejection, double taxation would likely occur. Transfer pricing adjustments may have an impact on goods and services tax (GST)65 otherwise applicable to transactions. GST is a value added tax charged on most supplies made in Canada of goods, services, real property and intangible property. GST is charged at a rate of 5 per cent on the value of the consideration for a given taxable supply. Residents and non-residents who are registered and who make taxable supplies in Canada must collect GST and remit GST net of input tax credits claimed. Transfer pricing adjustments to the price of taxable supply sold will result in a modification of the value of the consideration for a given taxable supply, and may require amendments to GST returns. In a case where transfer prices are increased, there may be additional GST payable on a transaction, which may cause under-collection and result in unremitted amounts of GST. Canadian transfer pricing is fundamentally composed of three integrated components: the determination or recharacterisation by the tax authorities, a strict penalty regime and an obligation by taxpayers to document the utilisation of their transfer prices. With transfer pricing matters, in most instances, the difficulty does not lie with the application or interpretation of the statutory provisions, but rather with complete, continuous and accurate compliance. As such, the difficulty lies with understanding the legal relationships within a group of interrelated companies in several jurisdictions and as many legal traditions; finding accurate comparables; determining the most accurate method; and establishing reliable and complete contemporaneous documentation on a regular basis. Tax law is notoriously complex68 and transfer pricing is no exception. Transfer pricing disputes are generally lengthy and costly because they are considered to be evidence-heavy and, in most cases, courts generally need extensive assistance from expert witnesses. The limited Canadian jurisprudence in that respect, under both the former and the new transfer pricing regime, is a testament to the complexity of such endeavour, but also to the place and importance given to alternative dispute resolution mechanisms, whether at the audit stage, the objection stage or through mutual agreement procedures and through advance transfer pricing arrangements. 1 Dominic C Belley is a partner and Jonathan Lafrance is an associate at Norton Rose Fulbright Canada LLP. 2 R.S.C. 1917, c. 97, repealed. 4 Unless provided otherwise, all legislative references in this text are to the ITA. 5 In Canada, taxation is a shared jurisdiction. Certain provinces, such as Quebec, Alberta and Ontario, have enacted tax measures that comprise, inter alia, transfer pricing legislation. However, such measures, which are harmonised with the federal regime, do not provide for distinct or additional transfer pricing penalties, and are solely intended to provide for equivalent transfer prices adjustments for provincial tax purposes. 6 Acting for the Minister of National Revenue (the Minister). The CRA is also the competent authority for the purposes of international tax conventions. 7 Individual, corporations and trusts. 8 For the purposes of this chapter, unless otherwise provided, references to taxpayers in the context of the application of Section 247 ITA will also refer to partnerships. 9 The ITA does not provide a definition for the arm's-length concept. Paragraph 251(1)(a) provides that 'related persons shall be deemed not to deal with each other at arm's length'. The term 'related persons' is extensively defined in Section 251. In addition, Paragraph 251(1)(c) provides a de facto test for determining whether related persons are dealing at arm's length. 10 Subsection 233.1(4) provides a de minimis exception for reporting taxpayers whose total fair market value of reportable transactions for a taxation year with non-residents is under C$1 million. 11 Because of the scope and degree of detail required in form T106, the CRA will generally use the T106 filed by taxpayers to initiate a transfer pricing audit. 12 GlaxoSmithKline Inc,  3 SCR 3, 2012 SCC 52 (GlaxoSmithKline Inc). 13 In GlaxoSmithKline Inc, the appeal concerned the application of former Section 69, which contained the pre-1998 transfer pricing provisions. However, the SCC's comments with respect to the OECD Guidelines and the Canadian transfer pricing regime are applicable to Section 247. 14 GlaxoSmithKline Inc, at Paragraph 20. 15 Ibid., at Paragraph 42. 17 Transfer Pricing Memorandum TPM-14, 2010 Update of the OECD Transfer Pricing Guidelines. 18 Shell Canada Ltd v. Canada,  3 SCR 622, at Paragraphs 39–40 and Singleton v. Canada,  2 SCR 1046, 2001 SCC 61, at Paragraph 27, and Quebec (Agence du revenu) v. Services Environnementaux AES Inc,  3 SCR 838, 2013 SCC 65 at Paragraph 45. 19 Jean Coutu Group (PJC) Inc v. Canada (Attorney General), 2016 SCC 55, at Paragraph 41. 20 Pursuant to Paragraph 247(2)(a) and (c). 21 The term 'tax benefit' is defined in Subsection 245(1). Section 245 provides for the general anti-avoidance rule (GAAR). 22 Pursuant to Paragraph 247(2)(b) and (d). 23 Whether with respect to former Subsection 69(2) or Section 247. 24 Information Circular IC87-2R, International Transfer Pricing, at Paragraph 44 [IC-87R2]. See also OECD Transfer Pricing Guidelines, Guideline 1.37. 25 Transfer Pricing Memorandum TPM-09, Reasonable efforts under Section 247 of the Income Tax Act. 26 Section 233.8 was introduced in December 2015 pursuant to Bill C-59. 27 Pursuant to Subsection 233.8(1), multinational enterprise groups with a total consolidated group revenue of less than €750 million during the fiscal year immediately preceding the particular fiscal year will not be subject to the Subsection 233.8 reporting rules. 28 GlaxoSmithKline Inc, at Paragraph 52. 29 IC-87R2, at Paragraph 140. 30 IC-87R2, at Paragraph 143. 31 IC-87R2, at Paragraph 95. 33 Functions of developing, enhancing, maintaining, protecting and exploiting the intangibles. 34 Donald G H Bowman, The Settlement of Tax Disputes in Canada, at p. 1. 35 Information Circular IC94-4R, International Transfer Pricing: Advance Pricing Arrangements, at Paragraph 55 [IC94-4R]. 36 Multilateral APAs are entered into with more than one tax authority, through the mutual agreement procedure (MAP) included in most income tax treaties. Unilateral APAs are agreements between the taxpayer and the government only. 37 As per IC94-4R at Paragraph 10: pre-filing meeting(s); the APA request; the acceptance letter; the APA submission; preliminary review of the APA submission and establishment of a case plan; review, analysis, and evaluation; negotiations; agreements; the post-settlement meeting; and APA compliance. 38 IC94-4R, at Paragraph 92. 39 Transfer Pricing Memorandum TMP-11, Advance Pricing Arrangement (APA) Rollback. 40 When an reassessment has been issued pursuant to the ITA and a taxpayer files a notice of objection within 90 days of the issuance of the reassessments pursuant to Section 165. 41 The Settlement of Tax Disputes in Canada, p. 4. 42 Substantial indemnity costs means 80 per cent of solicitor and client costs. 43 Pursuant to Section 147(1) of the Tax Court of Canada Rules (General Procedure) (SOR /90-688a) (the Tax Court Rules). 44 Canadian Tax Foundation, Daniel Sandler and Colin Campbell, 'Catch-22: A Principled Basis for the Settlement of Tax Appeals', Canadian Tax Journal (2009) Vol. 57, No. 4, 762–86. 46 Tax Treaties Canada has entered into generally provide MAP to assist taxpayers in resolving cases of double taxation involving Canada and a treaty partner, occurring , inter alia, as a consequence of unilateral transfer pricing adjustments by Canada. The MAP aims to resolve cases of double taxation that are not in accordance with the Tax Treaties and that are generally occurring because of the international nature of transfer pricing. 47 The misrepresentation must take place when filing the return, not at another time. See Vachon v. The Queen, 2014 FCA 224. 48 McKesson Canada Corporation v. The Queen, 2013 TCC 404, starting at Paragraph 378. 49 Hickman Motors Ltd. v. Canada,  2 SCR 336. 50 General Electric Capital Canada Inc. v. The Queen, 2009 TCC 563. 52 Files A-48-14 and A-49-14. 53 The decision was based on the 1995 OECD Guidelines, which shows a preference for traditional transaction methods and cites the CUP method as providing the highest degree of comparability. 54 Section 212 provides for a 25 per cent withholding tax on payments. Tax treaties entered into by Canada usually reduce the amount of withholding tax. Canada has entered into international tax conventions with the following countries: Algeria, Argentina, Armenia, Australia, Austria, Azerbaijan, Bangladesh, Barbados, Belgium, Brazil, Bulgaria, Cameroon, Chile, China, Colombia, Croatia, Cyprus, the Czech Republic, Denmark, the Dominican Republic, Ecuador, Egypt, Estonia, Finland, France, Gabon, Germany, Greece, Guyana, Hong Kong, Hungary, Iceland, India, Indonesia, Ireland, Israel, Italy, the Ivory Coast, Jamaica, Japan, Jordan, Kazakhstan, Kenya, the Republic of Korea, Kuwait, Kyrgyzstan, Latvia, Lithuania, Luxembourg, Malaysia, Malta, Mexico, Moldova, Mongolia, Morocco, the Netherlands, New Zealand, Nigeria, Norway, Oman, Pakistan, Papua New Guinea, Peru, Philippines, Poland, Portugal, Romania, Russia, Senegal, Serbia, Singapore, Slovakia, Slovenia, South Africa, Spain, Sri Lanka, Sweden, Switzerland, Tanzania, Thailand, Trinidad and Tobago, Tunisia, Turkey, Ukraine, the United Arab Emirates, the United Kingdom, the United States, Uzbekistan, Venezuela, Vietnam, Zambia and Zimbabwe. This list does not include treaties signed but not in force, treaties under negotiations or tax information exchange agreements. 56 Both provisions are found in Part XIII of the ITA. 57 In order to avoid double taxation, Subsection 247(16) provides that Section 15, Subsection 56(2) or Section 246 will not apply when Subsection 247(12) deems a dividend to have been paid. 58 For example, if there are losses, deductions or credits to offset the additional taxes otherwise payable. 59 Transfer Pricing Memorandum TPM-13, Referrals to the Transfer Pricing Review Committee. 60 For example, foreign accrued property income (FAPI) and surplus rules found in Section 95. 64 Details with respect to applications are set out in Information Circular IC-71-17R5. 65 And its provincial equivalents, the harmonised sales tax and the Quebec sales tax. 66 Canada Border Services Agency, Memorandum D13-4-5, Transaction Value Method for Related Persons. 67 Under the Customs Act (R.S.C., 1985, c. 1 (2nd Supp.)). 68 Guindon v. Canada  3 SCR 3, 2015 SCC 41, at Paragraph 1.